The paleo diet is rooted in the way our ancestors lived back in the day. This means eating grass-fed meats, fish, fresh fruit and veg, and whole foods like nuts and seeds, along with healthy oils like coconut and flax seed. The diet suggests steering clear of dairy, cereal grains, legumes, and processed foods. Keeping things simple means that you are more likely to avoid pesky preservatives, additives, or chemicals and all the extra fruits, vegetables, oils and nuts carry with them plenty of anti-inflammatory benefits. On top of all this, eating more red meat means more iron and in general you will feel more full because of the increased intake of protein and fats. 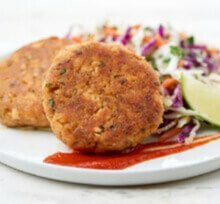 Home Chef offers a substantial menu to choose from, with a range of new recipes added each week. It prides itself on providing fresh, natural ingredients, from carefully selected suppliers who operate their businesses in an ethical and sustainable way. Subscription plans with Home Chef are flexible depending on how many meals and servings you’d like each week. Recipes are easy to follow, allowing customers to whip up a delicious dinner in just 30 minutes. 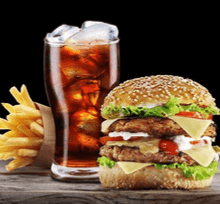 Home Chef allows you to choose from meat, seafood, vegetables (or a combination), and then specify if there are certain ingredients you’d like to avoid. This is perfect for the paleo diet, as you can avoid items including dairy, and there’s an option to choose if you’d prefer a low carb or low calorie diet. 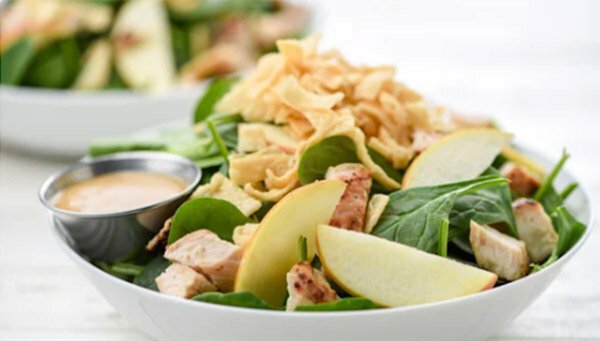 Whip up a quick and scrumptious lunch using crispy apples, and leafy spinach. This dish is packed with your daily vitamins, and the combination of textures will delight your taste buds. 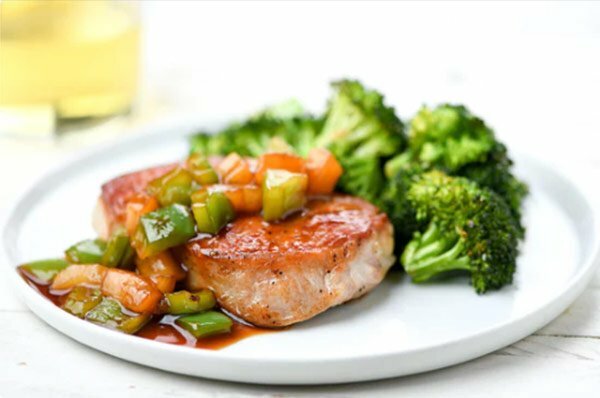 This fruity pork dish is both carb and calorie conscious, and the roasted broccoli makes it incredibly easy to prepare. The sauce is the perfect match for pork chops, and something you’ll want to eat again and again. This Asian-inspired dish packs a scrumptious sauce mixing flavors like garlic, chili, salt, lime, and honey, to wow your taste buds. 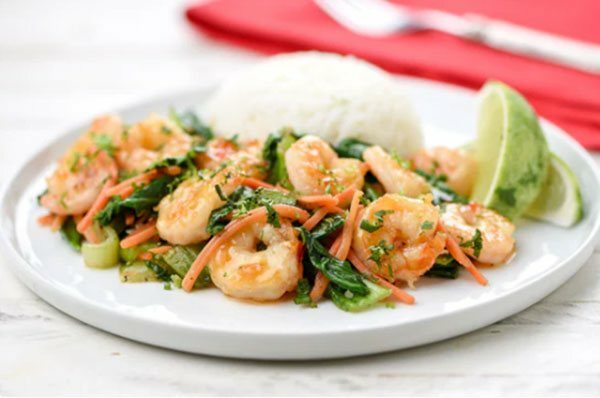 The shrimp is super quick to cook, and the stir-fried veg adds a nice bit of color and crunch to the plate. The rice is optional (depending on whether you’re a paleo purist). Sun Basket customers can browse new recipes each week, created by Chef Justine, alongside spectacular, drool-worthy photos that will leave you wanting it all! There are 2 plans available: the Classic menu or the Family menu. The Classic one is the menu which allows you to select paleo as your dietary requirement. 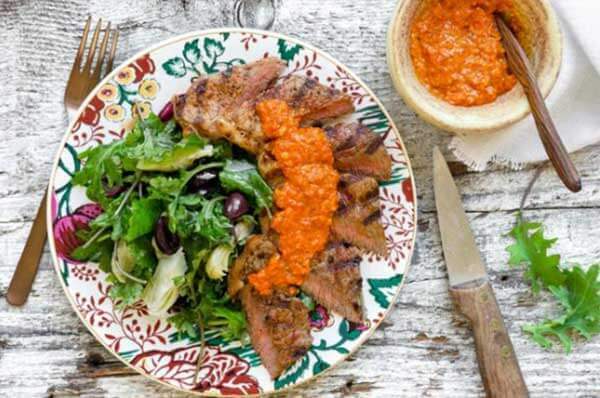 The paleo plan allows you to enjoy high protein recipes fueled with high quality meats and seafood, and fresh veggies, while avoiding dairy, gluten, grains, soy, or corn. Sun Basket offers organic produce, and sustainably sourced ingredients from trusted suppliers. High in protein, and rich in colorful, vitamin loaded veggies. The steak is lean, and a quality cut that offers a wonderful flavor, garnished with a nutritiously scrumptious salad. 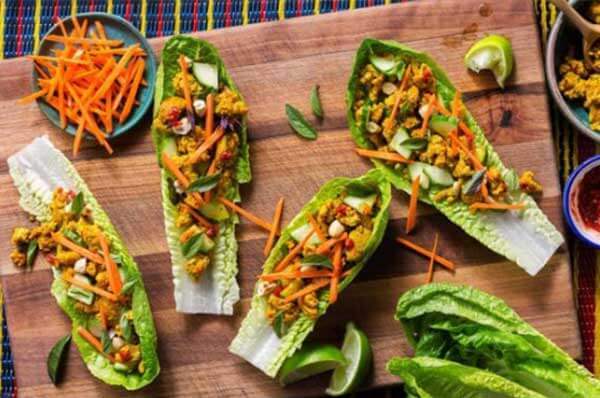 These are a super healthy alternative to tacos, and don’t scrimp on flavor. The crispness of the lettuce and veggies, with the tender turkey will fill you up with taste and texture, and won’t have you slaving away at the stove. 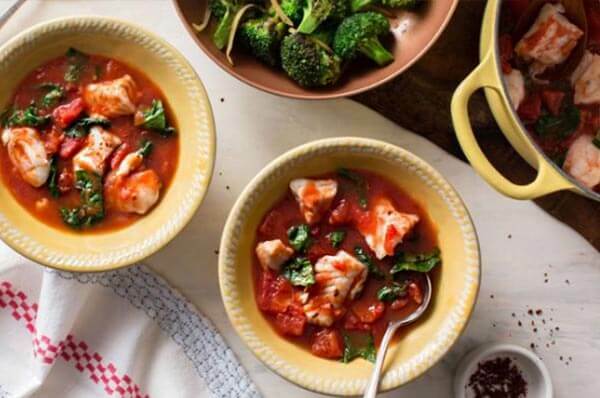 This fresh and vibrant tomato and cod supper will take you on a journey through the Mediterranean coast, evoking fond memories of past summer vacations, dining al fresco. The ingredients are simple, but the flavors will blow you away. 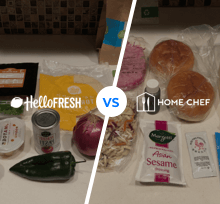 HelloFresh is big on providing kits filled with ingredients to help you enjoy wholesome, home-cooked meals, removing the stress of planning and shopping. All produce is locally sourced, and delivered to your door, free of charge. The menu is filled with a range of yummy recipes curated by the culinary team, which are easy to follow—even for the novice cooks out there. You can pick from the Classic, Veggie, or Family plan, and each week there is a selection of egg-free, nut-free, dairy-free, and gluten-free recipes to choose from, to accommodate all dietary needs and preferences. HelloFresh also offers the option of adding monthly deliveries of fine wines paired with your meals at an additional cost, which is perfect for anyone who enjoys a glass with dinner. Price: $8.74 — $9.99 per serving. Roasted butternut squash is so simple and the most delicious way to enjoy it. 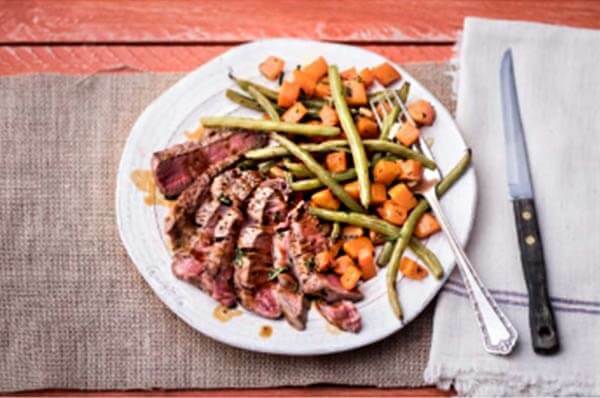 The seared steak paired with the fresh green beans adds depth and crunch, and offers a healthy twist to classic steak sides, loaded with flavor. 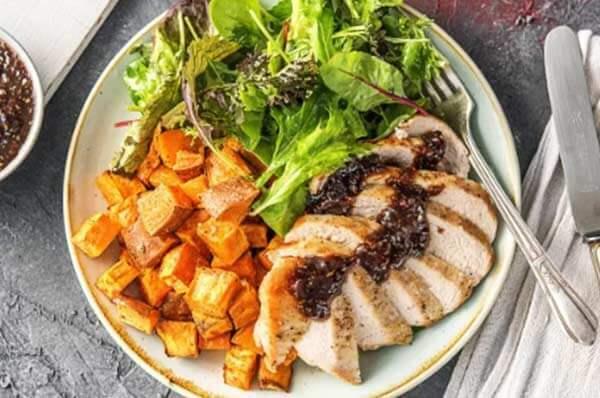 Chicken is a lean meat, which is great for the paleo diet and the fig jam, balsamic vinegar, and fresh rosemary makes a delicious sweet and savory pan sauce for it. The leafy greens add color and nutrition, while the sweet potatoes can be removed at your request. 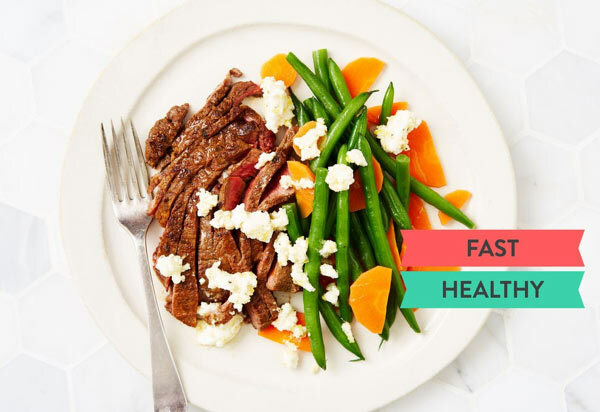 Plated is a New York-based meal delivery kit service that was established back in 2012, and is perfect for any home cook looking for a personalized cooking experience, with quality food, meal variety, and flexibility. Select the plan that works for you, and modify it to suit your needs. Plated also offers a variety of delectable desserts in addition to the dinner menu, that are guaranteed to catch your eye while browsing the site. There isn’t currently a separate meal plan for those following a paleo diet, but the weekly menu offers recipes that are suitable for most diets, including: omnivores, vegetarians, individuals allergic to gluten; as well as those who prefer low-carb and low-calorie meals. You’ll find recipes inspired from all over the world including Indian, Italian, Chinese, and French cuisine, helping you to explore new flavors and dishes from the comfort of your home. Plated work exclusively with farmers who operate sustainably, and offer fresh and natural produce that is organic wherever possible. This Middle Eastern inspired dish is taking all the ingredients out of the usual pitta bread it’s served in, and jazzing it up on the plate. A hearty salad marinated with wonderful flavors of turmeric, paprika, and cumin, and drizzled with fresh herbs and a honey-lemon dressing. You won’t miss the carbs in this healthy, zesty dish! This dish is so simple to whip up, and requires minimal clean up — double win! 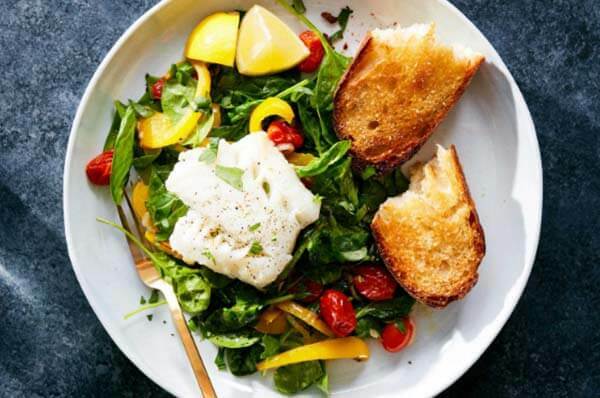 The meaty cod fillets are the stars of the show here, and these subtle sea flavors are paired with the freshness of pepper, tomatoes, basil, garlic, and shallot. The crusty baguette is an optional extra. 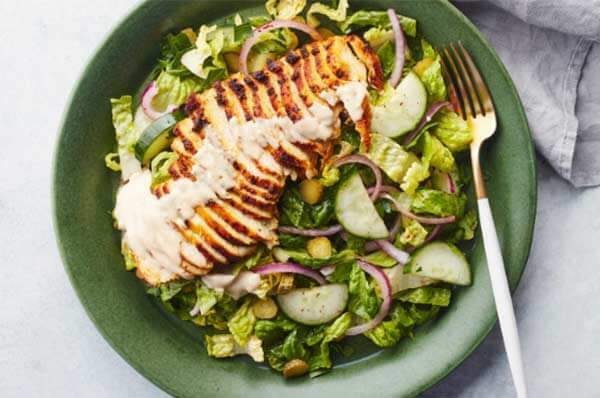 Martha & Marley Spoon gives you access to heaps of recipes from the Martha Stewart living archives, where tons of paleo-friendly recipes are waiting for you to discover. The company keeps the recipes simple to cook up, and on any given week you can choose from 10 recipes. All of it is made with high-quality, sustainably-sourced fresh ingredients and the recipes only take 6 steps. Also, the plans are flexible, and Martha & Marley Spoon will let you thumb through the archives to find some blasts from the past you’d like to try out. And another feature that can really save you some cash—shipping is always free. 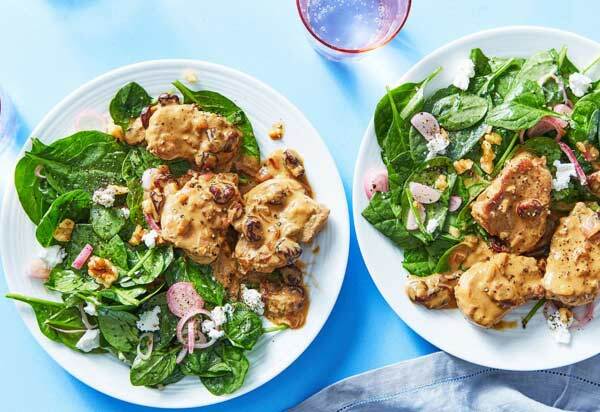 This low-carb, low calorie meal packs in 40 grams of protein across a landscape of tender pork medallions covered with dried cherries and dijon mustard sauce. This rump steak will take you from the box to meat paradise with a short stop in Flavor City—in just about 20 minutes. Next to the steak you’ve got brilliantly snappy green beans with a feta cheese dressing and really, that’s almost not even fair. Our Paleolithic ancestors never had it this good. Try One of These Meal Delivery Kits, Today! There are so many meal delivery kits to choose from, which will accommodate the dietary needs of a paleo diet, no matter how strict or relaxed you are with the food you choose to eat. With a range of delicious and creative meals, and fresh, high quality ingredients, you’ll wonder how you coped before meal delivery kits came on the scene! Shani Jay is a Bestselling Author, and Content Creator. She's the founder of The Glow Getter Tribe—a self-love movement which helps women worldwide feel happy, confident, and beautiful starting from the inside out. Shani's writing has been featured on many internationally recognised platforms including The Huffington Post, Teen Vogue, and Thought Catalog.